After an awful outing that included him getting benched in the second half for backup Brock Osweiler, head coach Gary Kubiak announced that Peyton Manning won’t start at QB this week for the Broncos. Gary Kubiak announces Peyton Manning will not play this week. Brock Osweiller will get the start against the Bears. 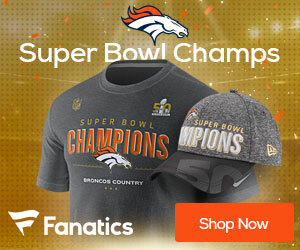 ESPN’s Adam Schefter is reporting that Manning has been dealing with plantar fasciitis in his left foot, but according to Schefter, Manning has a tear of the tissue. 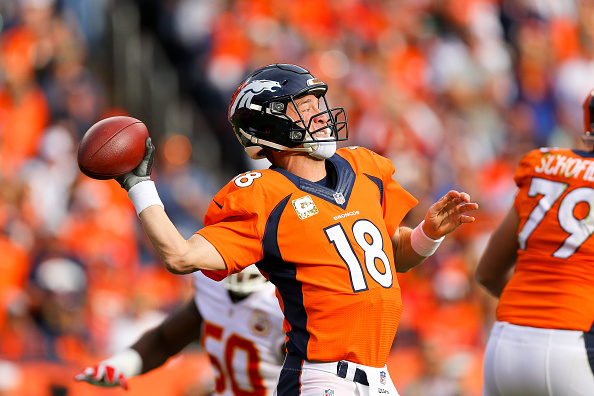 Kubiak said after the loss on Sunday to the Chiefs that Manning should not have started in the loss. “To be honest with you, I was protecting him. I was worried about him,” Kubiak said after the loss. Manning has been listed on the Broncos’ injury report with a right shoulder injury and the foot injury.